Now that you have completed our beginner tutorial, whose result is a functional order management application, we’ll now focus on advanced behaviour modeling, using native and external APIs, and an introduction to data analysis elements Lists, Queries and Dashboards. In 3. Advanced Behaviours area, we will explore how to comunicate with OMNIA’s native API, in order to improve the user experience, and an External API. As a external API, Discogs was chosen for this example. In point 4. Data analysis, we will explore how to model new lists and how to create dashboards on OMNIA. This tutorial assumes that you have created a OMNIA tenant and are logged in as a user with modeling privileges to this tenant. Go to the Modeler and edit the previously modeled document PurchaseOrder. 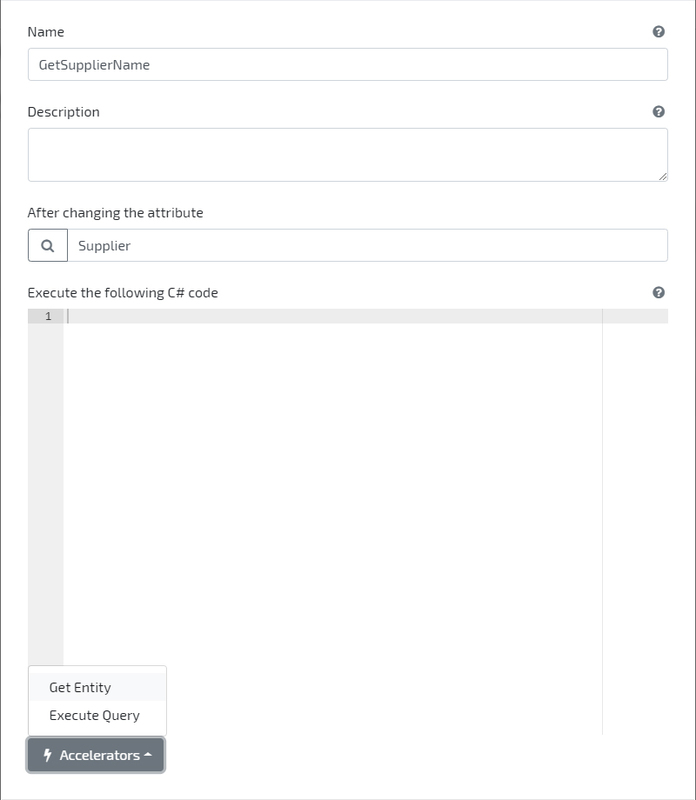 Create a new Attribute by clicking the button Add new / Primitive on the top right side, and setting its Name and Type to SupplierName and Text, respectively. Set the attribute as Read Only. Go to Application area, and create a new PurchaseOrder document. 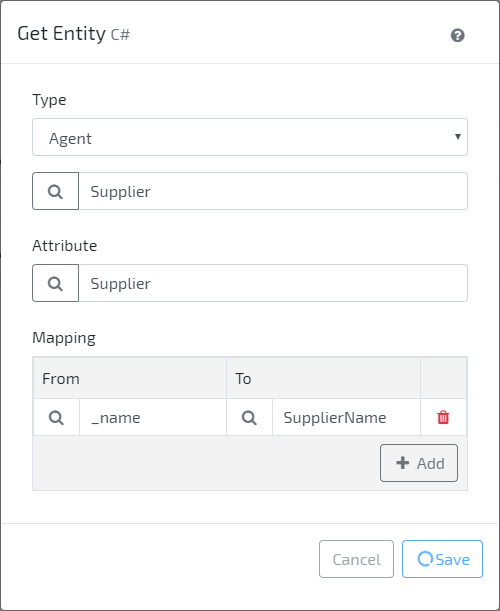 Observe that, when Supplier is identified, the SupplierName is automatically retrieved. Edit the previously modeled resource Product. Create a new Attribute by clicking the button Add new / Primitive on the top right side, and setting its Name and Type to Artist and Text, respectively. Set the attribute as Read Only. Go to Application area, and create a new Product resource. Observe that, when Code is identified (e.g. try with value 8540), the Name and Artist is automatically retrieved. On your Modeler area, go to Data analytics / Queries and click on button Add New to create a new query. Set ProductsArtists_Query as Name and Resource / Product as Type. Click on button Add New to add columns to Query. Add a column with Alias Code and Path _code. Repeat previous step to add columns with alias Name and Artist, whose Path is _name and artist, respectively. On top right side, click on button More options / Generate list to create a new list based on the given query. On your Modeler area, go to Data Analytics / Dashboards and click on button Add New to create a new dashboard. Set Home as Name, so that the dashboard is visible on application’s homepage. Click on button Add List to add lists to Dashboard. Set ProductsList as Name, Products List as Label, select ProductsArtists_QueryList (created previously) and position it in the first Row and Column, with Size six. Build & Deploy the model. Go to the application and check the homepage dashboard. Data for the products you have created will be visible.